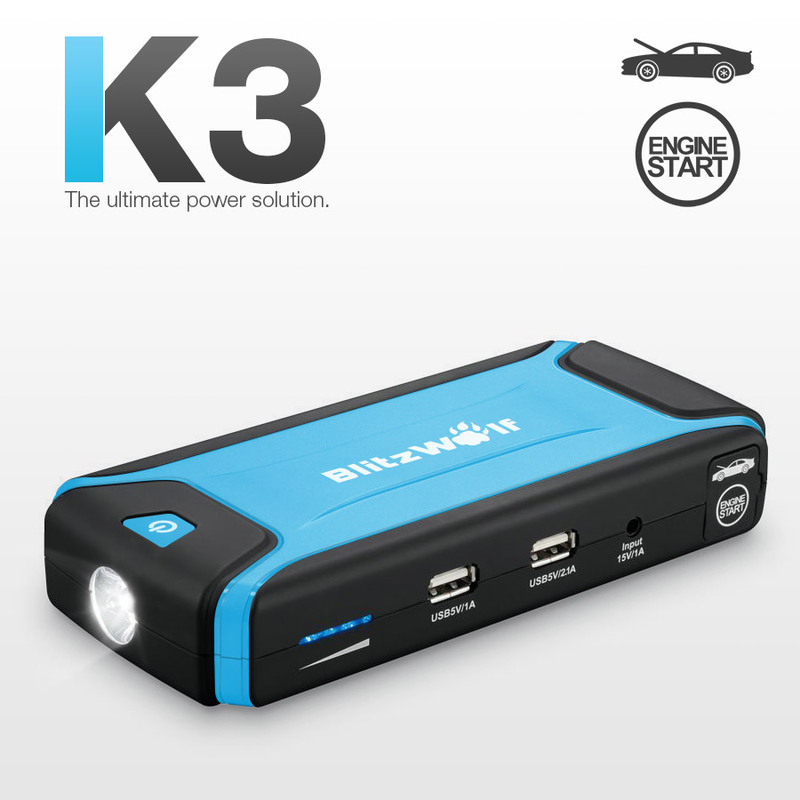 When your car battery’s flat, the K3 jump starter makes starting easy and you can start your engine in 4 easy steps. 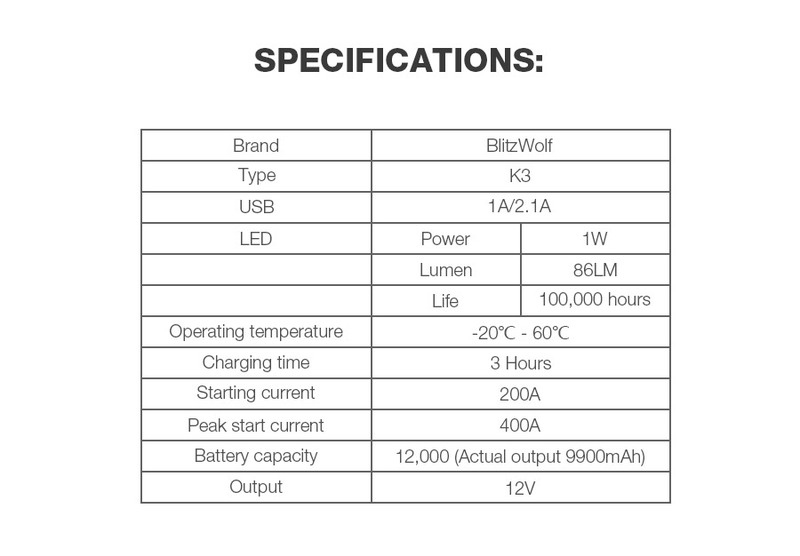 Fit for cars with a displacement below 4.0L for gasoline and for diesel below 2.5L. 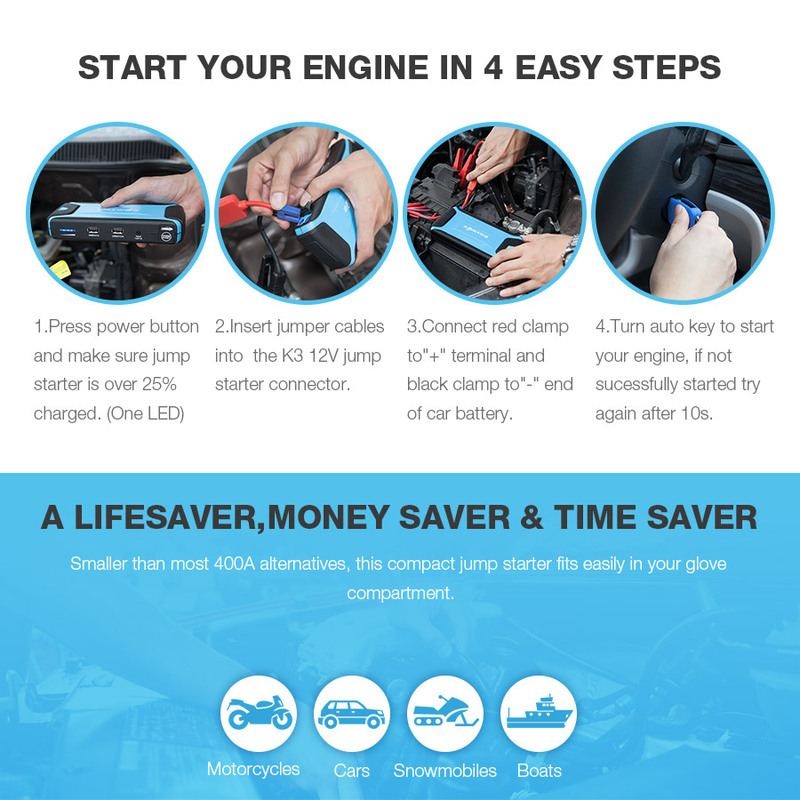 1.Jump start your car around twenty times on a single charge. 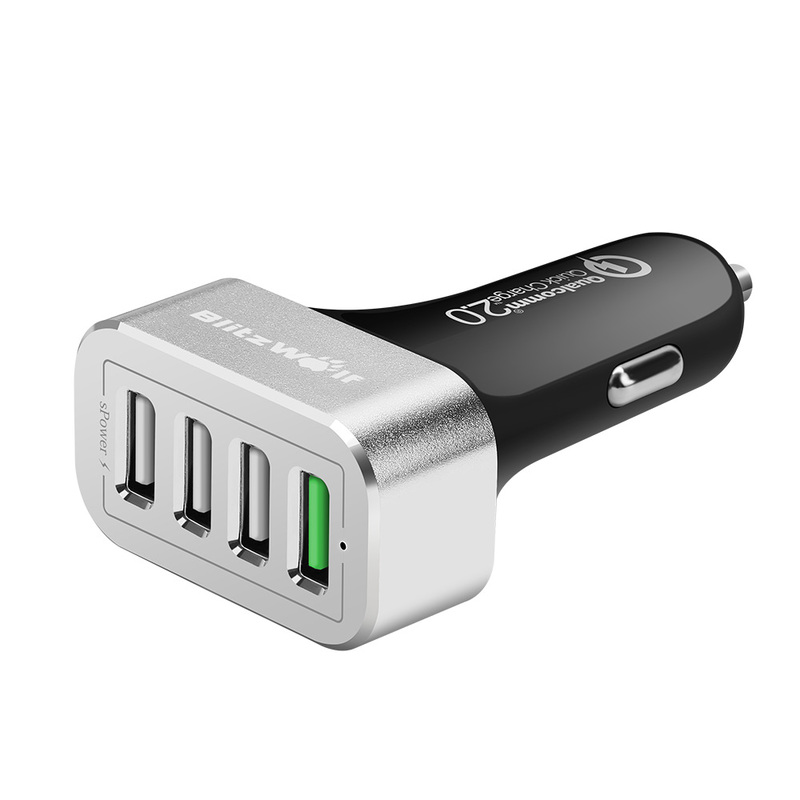 2.Dual USB ports provide versatile power for your phone,tablet or any USB gadget. 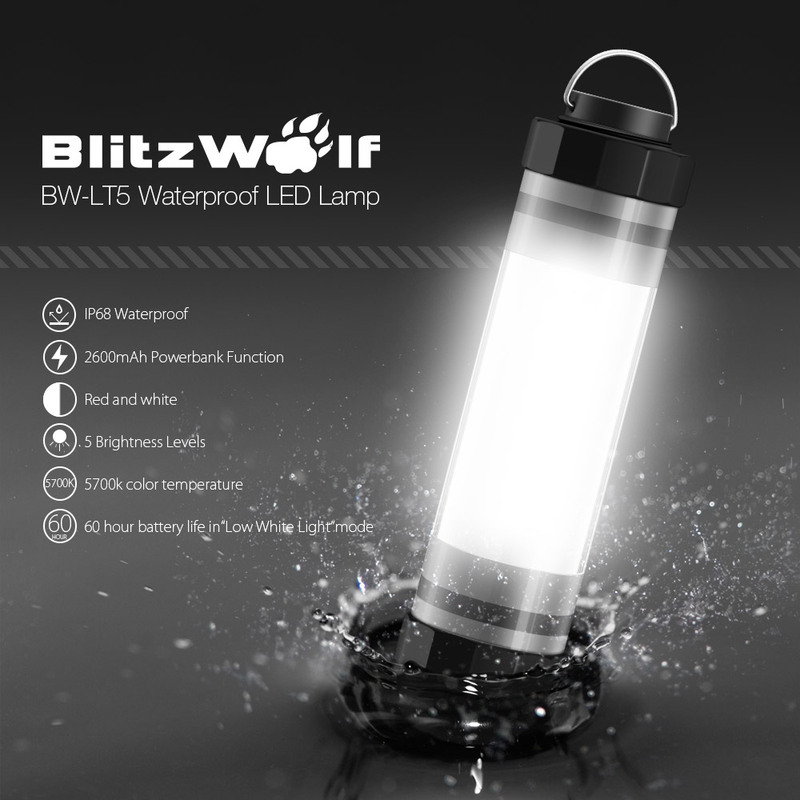 3.Emergency LED with 3 modes:torch,strobe and SOS flashing. 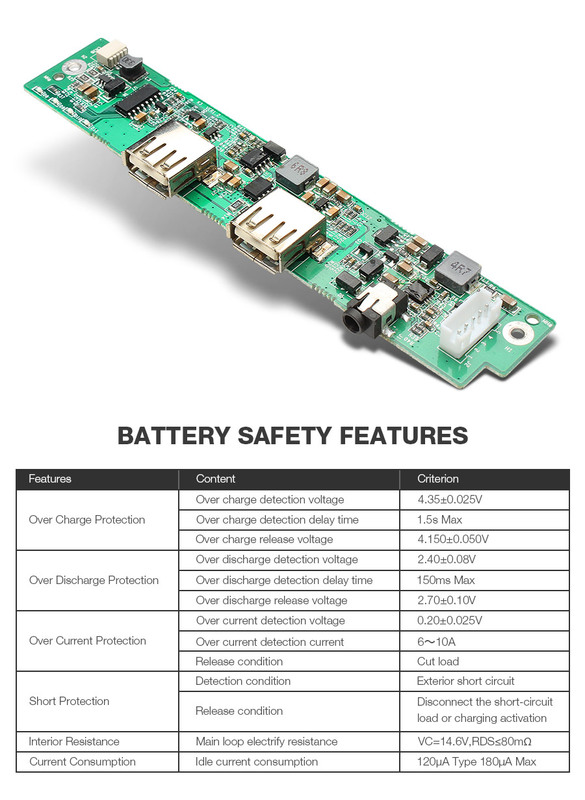 4.4/5 times smaller than liquid acid battery’s with twice the lifespan, cycle life is rated at 1000 recharges. 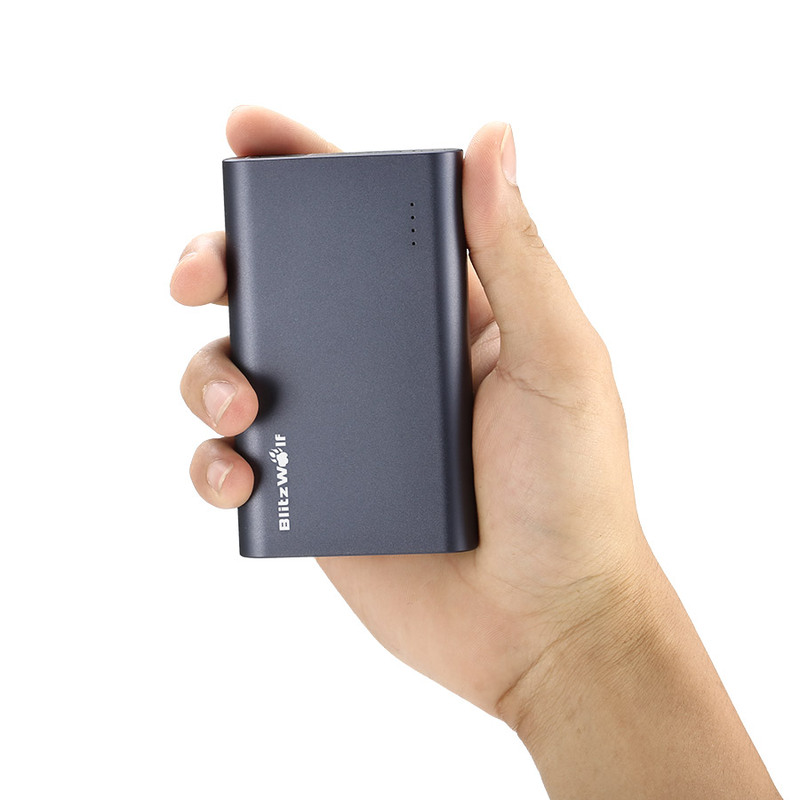 5.Shake proof and anti-shock casing protects the battery from damage. 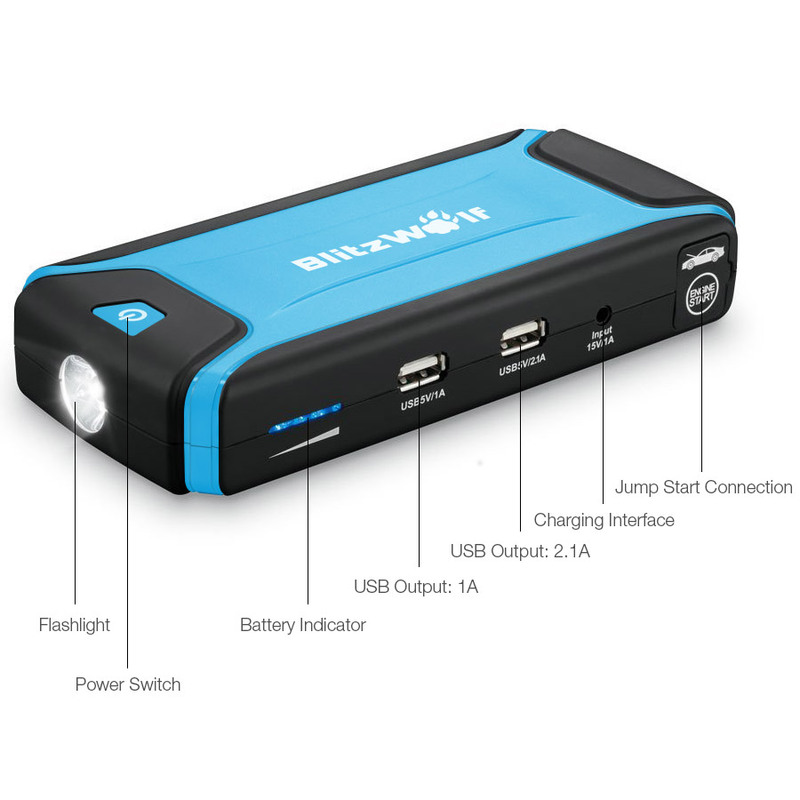 6.Anti-inverse current protection, protects your K3 jump starter from damage. 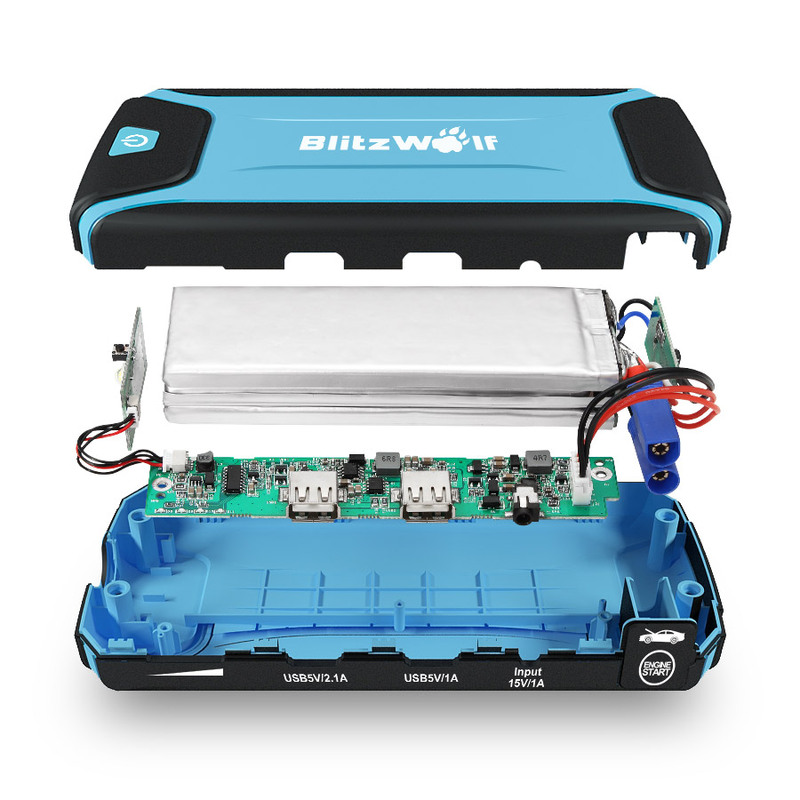 Do not use as a jump starter if the battery is less than 20% chargerd. 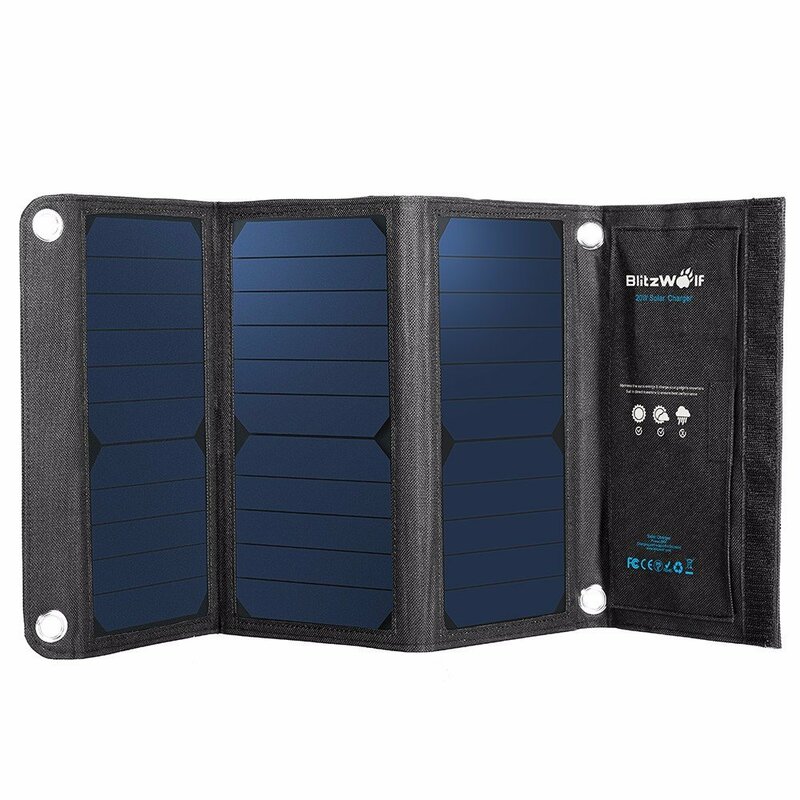 Fully charge for 3 hours the first time you receive the K3. To avoid injury and/or damage to your vehicle, do not connect the red and black clamps together.